There is more to dog waste than just being smelly and unsightly. Poop might carry diseases. Furthermore, it’s a major contaminant to natural waterways. That explains why it is highly important to clean up immediately after your pet on a constant basis. ​Its quite obvious that very few or no dog owner loves picking up his or her pets poop. As much as the chore is a favorite of many people, it is part and parcel of being a dog owner. The good thing is that an array of dog poop scoopers are available to help make the daily chore stress free. With these tools, you'll surely have a painless and quick process. Have you been looking for a lightweight and incredibly easy to use pooper scooper? If yes, then your search has surely come to an end. The Nature's Miracle Jaw Scoop brings with a set of impressive features that make one of the best in the market. In addition to being lightweight, it also boasts a non-stick surface. What is more is that it is odor -blocking. Buy this scooper featuring an antimicrobial protection and discover its magic. The Dogit Jawz Waste Scoop brings with it an ergonomic handle that features a contoured and soft rubber pad for your fingers to provide nothing short of a comfortable grip. The scooper also boasts two calibrated springs for a reliable, durable, and safe operation. That fact that its 25.5 inch in terms of length means it not only offers an excellent reach, it also helps eliminate bending. It is made of a strong but lightweight plastic. The Four Paws Grass Wire Rake Dog Scooper is surely the workhorse of every dog cleanup. It allows for a one -handed convenient pick up for animal waste. It's designed for grass. Its mini version is handy when it comes to taking your small dogs for walks. If your home has surfaces such as hard flooring or concrete, the scooper will surely sort you since its tailored for even hard surfaces. You can also use it stress-free on sandy and grassy areas. Waste Management System. It makes your special duty not only quicker but also easier. It saves you an immense amount of time with less unloading. Its rake size as well as tine spacing is designed amazingly for optimal pickup capability on all surfaces. The scooper also eliminates leg fatigue as well as back pain. If you've been looking for the best scooper to alleviate the discomfort of cleaning up after your dog, then look no further than the OxGord Pet Paddy Solutions. At 28 inches, it keeps your hands away from the nasty dog 'business' that is an attribute of owning a pet. It also boasts a durable material that ensures your scooper is long lasting. The material also ensures that it's incredibly easy to clean. With its powerful and large jaw clamp, you're sure that it will scoop even the biggest dog messes. The GoGo Stik, The Totally Clean Pooper Scooper is perhaps the fastest and cleanest scooper when it comes to poop clean up. You no longer need to pull out your garden hose in order to do your cleanup after the pet. Utilize any plastic grocery bag that's lying around the house. Alternatively, you can try the company's perfect fit bags. The best part is the fact that you don't have to kneel down or bend over. You can perfect avoid the smell, handling and contact your pet's poop. It has a square and round shovel with tapered blades. It brings with it round edge for grass and a straight edge for the sidewalk. With the AmazonBasics Foldable Jaw Clamp Scooper, you can effortlessly remove pet waste from your yard. The highly convenient tool provides such an incredible alternative to plastic bags. It also ensures that the chore is a totally hands-free and no need to get too close. Its nonstick plastic construction guarantees the performance for a long time. You can easily open and close for its spring-controlled jaw clamp. Perfect for pick-ups from all types of surfaces. If you are looking for one pooper scooper for multiple purposes, then you can try with one of the best portable Tidy Turd Pooper Scooper. Its long handle will help you quickly to pick up from any surfaces. You don't need to bend more for picking dog poop, also keep your faces from messes and odors. You just enjoy this scooper for yard work such as pine cones. It's perfect for all dog sizes.Lightweight and quality materials ensure its durability. If you need a complete sanitary waste removal package, then you can try NEW Peaceful Complete Poo Pack. It is included with a Pooper Scooper, a dog waste bag holder, and rolls of bags. You can easily upgrade your waste removal process with your puppy. Its pooper scooper is sturdy framed reinforced with dual springs which make poop cleanup easier than before. Also, you don't need to kneel or bend. The Poop Patrol jaw scoop is a lightweight pooper scooper with made by washable plastic. This plastic is more slicky, shiny, and flexible than others. It is 27 inches long which is perfect for tall person. No need to excessive bending. You can smoothly pick up the poop from any surface such as grass, gravel, cement etc., the teeth will be closed totally when you release the tab. You just love this for its comfortable finger grip and heavy construction. The size of your pet's poop varies greatly depending on her or his size. Therefore, you should avoid getting devices designed for your small dog while you have a big dog. As you bear this in mind, ensure that your lap puppy isn't necessarily going to be a tiny handful forever. Because dogs can grow exponentially, purchasing a tiny scooper might be sound like an incredible when the puppy is small. However, with time, he or she grows, rendering your scooper inappropriate. Therefore, look at his or her potential size compared to his or her current size. How will you be disposing of your dog's poop? How will you be bagging it up and throwing it away? Ensure you know your city's local laws. 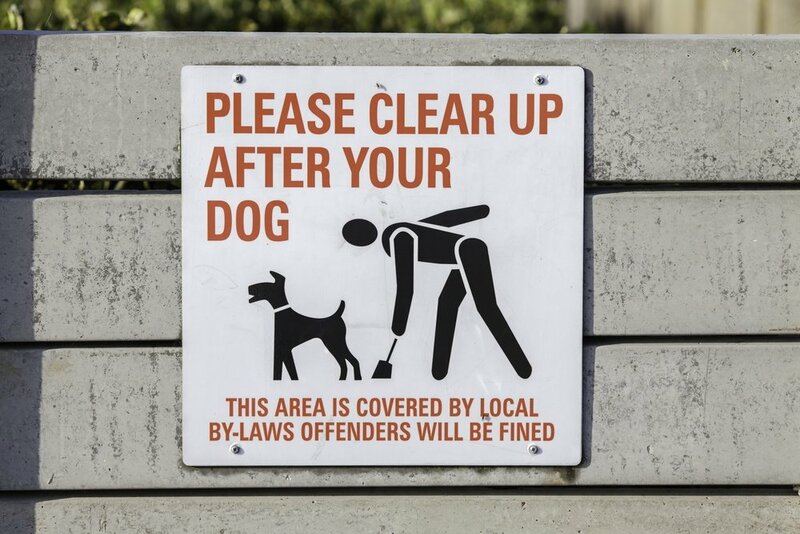 Dog parks, as well as rental properties, have a committed dog waste collection station to make it easier to manage where you leave your dog's mess. The easiest way of disposing of such type of waste is by throwing it to your trash cash. However, doing so can get quite smelly. You can choose to employ a pet waste trash unit inside your home. It will go miles in reducing the odor that's caused by bagged poop. The rule of thumb is the fad that most scoopers are made of plastic. Nonetheless, some exist in the market made of metal catch areas. Because plastic is porous, you must be wary about cleaning the scoopers area. This is because the pores, which exist there, can effortlessly retain harmful germs. All you need to do is clean your scooper immediately after you use it. Use water and soap for cleaning purposes. Alternatively, a dedicated cloth rag or paper towel is also magical in terms of cleaning. Sturdiness and durability — Mostly, poop scoopers last a couple of years. However, it is very much possible to settle for an item that will last you for a longtime. How long it lasts depends largely on the materials it is made of. Additionally, it also depends on your dog's waste volume. If you constantly heft heavier amounts of waste, it will eventually wear out its catch mechanisms. Therefore, finding a unit with protections against such harsh elements is an incredible idea. Various pooper scoopers have metal or plastic serrated teeth on their catch claw areas. As much as these can make picking up the poop pretty much easier, it can result to pulling up stones, grass, soil etc. unintentionally. This can go miles in causing lawn damage especially if you scoop poop many times in a day. If you settle for a scooper with such teeth, you must remember to be cautious when retrieving the mess from your pet. Just like when making any other purchase, price is an important consideration to make. You need to look at your budget and needs. Balancing these two will make sure that you certainly settle for the ​perfect pooper scooper. Why It's Important to Get Rid of Dog Poop? ​Cleaning up after your dog is an unpleasant job. It's poop, and no one wants to touch that. When you purchased or adopted your dog, you promised to love them, feed them and provide them with a home. Cleaning up after them comes with that as well. Some dog owners fail to realize the importance of cleaning up after pets. That one simple task can do wonders to help maintain a healthy environment. When owners fail to pick up after their dog, they are leaving these parasites and bacteria out in the open. Dogs go around twice a day. If the feces is not cleaned up, it can pile up fast. The longer the poop sits, the more infectious it becomes. People who come into contact with infectious feces can suffer potential health hazards. Humans are perfectly capable of contracting parasites that are in dog poop. One reason people should pick up after their dogs is to keep themselves and others safe. Feces that is left in the yard can become hazardous. Kids can up playing in your yard. Children have the tendency to put their hands and toys in their mouth. If kids are playing in a yard where there is dog poop, they run the risk of catching a virus or infection. The same goes for adults. You can't just leave the feces in your yard and hope the rain washes it away. The rain spreads it and makes matters worse. It must be removed on a daily basis. Your dog can also get sick from the parasites and bacteria in his feces. If you don't clean up your yard, then your dog can get sick from being exposed to the toxins that are in the soil. You can take the dog to the vet but that won't help long term. If the dog continues to be exposed, he will continue to get sick. Cleaning up after your dog is important to maintaining the health of your entire family. Dog poop is the third leading cause to water contamination. It can get into ponds, lakes, rivers, and drinking water. Waste water treatment plants are not designed to filter out dog poop. So the poop that is not properly disposed of can seep into water systems and contaminate the water that your family uses to drink and cook with. To do your part in maintaining a healthy environment, begin looking to invest in a good pooper scooper. You want one that fits your need. Is the handle long enough? Is it easy to use? Does it work well with big dogs or small dogs? ​These are just a couple ideas you should consider when purchasing the best pooper scooper. The easier it is to use, the more inclined you will be to use it.